Cloudy with occasional showers. Thunder possible. High 64F. Winds NE at 15 to 25 mph. Chance of rain 50%..
Read through the obituaries published today on billingsgazette.com. 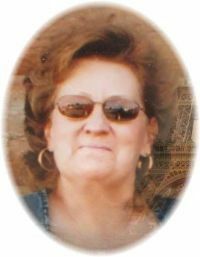 FORSYTH — Betty Jayne (Laughlin) Tallent, age 70, of Forsyth passed away on April 7, 2019. Funeral Services will be held at 11 a.m. on Thursday, April 18, 2019 at Stevenson and Sons Funeral Home in Forsyth. Burial will follow in the Forsyth Cemetery. Stevenson and Sons have been entrusted with the arrangements. To read the full obituary and leave condolences, visit our website at www.stevensonandsons.com. Janet (Jan) E. Rothfusz, 85, passed away Wednesday, April 10, 2019. A celebration of her life and honoring her memory will be held Monday, April 15 at the Church of Christ, 1220 10th St. W. at 1 p.m.
To view Jan’s full obituary or to share memories and condolences, please go to www.dahlfuneralchapel.com. Marie C. Johnson, 89, of Billings, passed away peacefully on Feb. 7, after complications from a long, difficult battle with Alzheimer’s. Alzheimer’s stole her mind, but her inner soul remained pure and strong until the end. Her passing is a blessing, but the vital, intelligent, and loving woman she was before this horrible disease interfered is what we remember and miss. Marie is survived by her children, Kim (Vic) Halverson of Billings and Bryce (Laura) Johnson of Oklahoma City, Oklahoma; her four grandchildren, Quinn and Cole Halverson and Alyx and Evin Johnson; her younger brother, James (Kathy) Jansen of Cary, North Carolina; and numerous nieces and nephews around the country. Her husband, Merlyn, and three siblings preceded her in death. Cremation has taken place. Complete obituary available at dahlfuneralchapel.com. A memorial service celebrating Marie's life will take place at St. Stephen's Episcopal Church on Monday, April 22, at 11 a.m.
John Michael O’Brien, 69, died Thursday, April 11, 2019. Standing at 6-foot-5 and blessed with the 'O’Brien talking gene,' he was a larger-than-life presence among his family and friends. John loved to tell stories, to invent and create, and to pursue his multiple collections and hobbies. A big kid himself, he had a special place in his heart for children and was a neighborhood favorite, a spectacular youth sports coach, and most of all an extremely proud father and grandfather. John was born Nov. 1, 1949, in Billings, to Jim and Joan (Haiston) O’Brien. He graduated from Billings Senior High, where he was a varsity basketball center and part of the state championship team in 1967. After graduating in 1968, he attended the University of Iowa and continued his basketball career with the Hawkeyes. He met Peggy Molback during a dance their freshman year. He brought her home to meet his slightly skeptical parents the following summer and proposed on July 20, 1969 — the date of the first moon landing. They were married on Jan. 2, 1970, in Iowa City. John and Peggy moved to Billings in 1973, where they raised three daughters. 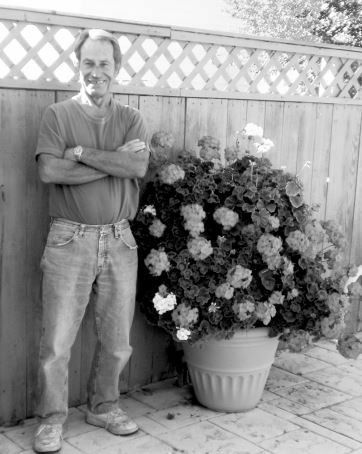 John worked as a contractor and engineer before taking over ownership of Grand Fence Company from his father in 1981. He had realized the need for computerization in the fence industry, and so, shortly after buying that company, he also founded Software Design Associates. The code he wrote (on an Apple IIe) was the first program of its kind, and the company remains the leader in the industry to this day. John sold both his businesses in 2003 to spend more time with his grandkids — and with his hobbies. Among other things, he played golf and basketball, wrote software for fun, undertook huge landscaping projects, explored the Montana wilderness in his Jeep, worked on his pinball machines, and collected train memorabilia. He also loved cards, and John and Peggy almost never missed their Friday-night date with longtime friends to play pinochle. John is survived by his wife, Peggy; his daughters and their husbands, Julie and M.H. Van Keuren, Jennifer and Ivan Jasper; and Christine and Christian Brittle; seven grandchildren, Dexter, Michael, David, Yulena, Kaitlyn, Zachary and Connor; three sisters, Teresa (William) McCombs of Wichita, Kansas, Barbara (Corey) King of Snohomish, Washington, and Kathleen O’Brien of Portland, Oregon; brother- and sister-in-law Gary and Peggy Molback of Iowa City; many nieces and nephews; and the members of his card-playing group, Frank and Trudy Carey and John and Linda Palmer. Services will be at 4 p.m. Tuesday, April 16, at First United Methodist Church, 2800 Fourth Ave. N., with a reception to follow at the church. Brian Hunter will officiate. Please send any memorial donations to the Montana Rescue Mission or the Junior Women’s Club. BOZEMAN — Dr. Anna Marian Shannon died in Bozeman on April 1, 2019, her 90 birthday. Anna, Dean Emeritus of the College of Nursing at Montana State University, received her R.N. from Missouri Baptist in 1950, B.S. from University of Missouri in 1955, M.S. from Washington University in St. Louis in 1957, and was one of the first nurses to earn a doctoral degree in nursing, a D.N.S. at University of California San Francisco in 1970. Anna was acting chair of Mental Health and Community Nursing at UCSF before returning to her beloved Montana in 1975 to be the Dean of Nursing at MSU, a position she held until her retirement in 1990. During her tenure, she expanded student enrollment including collaborating with the former diploma nursing program through St. Patrick's Hospital to create the Missoula campus of MSU College of Nursing. Her professional contributions and honors were many including Fellow in the American Academy of Nursing and a founding member of both the Western Society for Research in Nursing and Western Institute of Nursing. She was the recipient of the UCSF Distinguished Alumni Award, University of Missouri-Columbia Citation of Merit, and MSU Blue & Gold and Extraordinary Ordinary Women Award. In collaboration with her counterparts at two other nursing schools, Anna developed a consortium of nursing schools in Montana to better serve the state and nursing education. While Anna received ample professional recognition, it is the awards given in her name that honor her enduring impact. In 1992, in recognition of her unselfish efforts to support and promote the professional growth of other nurses across the west, the Western Institute of Nursing established the Anna M. Shannon Mentorship Award given annually in her honor. Those who were lucky enough to be mentored by Anna often reflected that she saw more in them than they saw in themselves. She pushed them to achieve beyond what they thought possible. Anna worked tirelessly to inspire nursing faculty - particularly those in rural states - to engage in scholarship and pursue doctoral education to advance their academic careers. Anna Shannon helped to change the face of nursing across the rural West. Anna was born in Dillon to Rev. Richard Orwin and Dr. Mabel Wartig Shannon and grew up in Lewistown and Perry, Missouri. She is survived by her nieces and nephews, Sarah Shannon of Bozeman, Gail (Mike) Gagnon of St Louis, Missouri, Polly Shannon of Eugene, Oregon, Margaret (Errol Meidinger) Shannon of Rock Creek, MT, Craig (Peggy) Helsher of St. Louis, and many 'grand' nieces and nephews. Mollie Knaub Glantz, 99, of Billings, died Tuesday, April 9, 2019, at her home in Westpark Village. Mollie was born in Arlee on July 20, 1919, to Louis and Katherine (Schreiner) Knaub, and shortly thereafter moved with her family to Laurel. She attended Laurel schools, and was baptized and confirmed in German at Laurel’s First Congregational Church. Mollie married John Glantz in 1940. Mollie and John lived and raised their three daughters in Laurel and then Billings. Like many from her generation, Mollie developed a strong work ethic. She assisted her husband in building four houses, and the subsequent management of the properties, finally stepping away from the last property in her late 80s. She enjoyed simple pleasures, including tending to her flower and vegetable gardens, and a love of cooking, especially German dishes from her childhood. She particularly loved to work in the kitchen with her sister Emma, cooking for family and friends. The family fondly recalls the sisters’ Maul Dausha with local gooseberries, and their staunch belief that a dish was not complete until topped with brown butter. Mollie took a well-deserved retirement in 2007, and moved to Westpark Village. Mollie loved her time there, and the friendship of her many neighbors and its wonderfully kind staff. She especially enjoyed daily talks with her daughters, and the family visits to Billings. Mollie grew up in a very different world than today. She did not understand the need for many of our newfound modern ‘necessities’, but nonetheless did love tracking our rapidly changing times via time spent with her grandchildren and great-grandchildren. Mollie aced retirement. Mollie is survived by daughters Judy (Fred) Stripp of Eugene, Oregon, and Debbie (Allen) Kuyatt of Arvada, Colorado; grandchildren Greg (Tris O’Shaughnessy) Stripp and Lisa (Dennis) Ross of Eugene, Oregon, and Eric Kuyatt and Sarah Kuyatt of Arvada; and great-grandchildren Semilla Stripp and Aidan Gillis of Eugene, Oregon; sister-in-law Dorothy Johnson and many nieces and nephews. Mollie was preceded in death by husband John; daughter Sharon Curtis; grandson Jarrod Curtis; and her sisters: Lydia Neibauer, Emma Frank, Helen King, Elizabeth Fox, Katie Mikel, and Mary Miller. The family wishes to thank the staffs of Westpark Village and RiverStone Health Hospice for the care and compassion they shared with Mollie. The family will hold a private remembrance. Memorials can be made to the Billings Parks and Recreation Youth Scholarship Program, or your favorite local charity. PARK CITY — W. ‘Dale’ Adams, 67 of Park City, formerly of Belt, passed away March 18 after a courageous five month battle against pancreatic cancer. Per Dale's request a celebration of life will be held at Faith Chapel (Broadwater entrance)’ after the snow is gone and the grass is green’, which will be May 11 @ 2 p.m. A memorial reception will be held at the Billings Hotel following the service. He is survived by his wife of 41 years, Carol; sons J.D. (Callie), Lonnie (Casey) and grandson Bray; brothers Cary Wayne, Wade and sister Lanell; daughters Deanna and Wesli from a previous marriage. In lieu of flowers the family has requested a donation be made in Dale's honor to the pancreatic cancer society or Purplestride Portland 2019 Team Dale or the charity of their choice.